Terrible news interrupted Mario and Luigi while they are enjoying one lazy afternoon at their house. It is said that Princess Peach has been kidnapped! The two brothers’ headed straight for Bowser's castle to confront him and get her back. But to their surprise, Bowser is just as shocked about Peach's kidnapping as they are. Meanwhile, everyone was abducted by a strange top-hated villain, everyone, except Mario. Peach and Bowser was forced by this mysterious villain to get married, that creates a rift of dark force threatening to tear apart the universe! The only one who can save the day is none other than Mario! Yet, he can't do it alone! This game appeared at first glance to be a classic 2-D adventure that breaks out straight from the artistic pages of the Paper Mario universe but soon turns out into a hysterical 3-D action game, which is possible only on Wii! 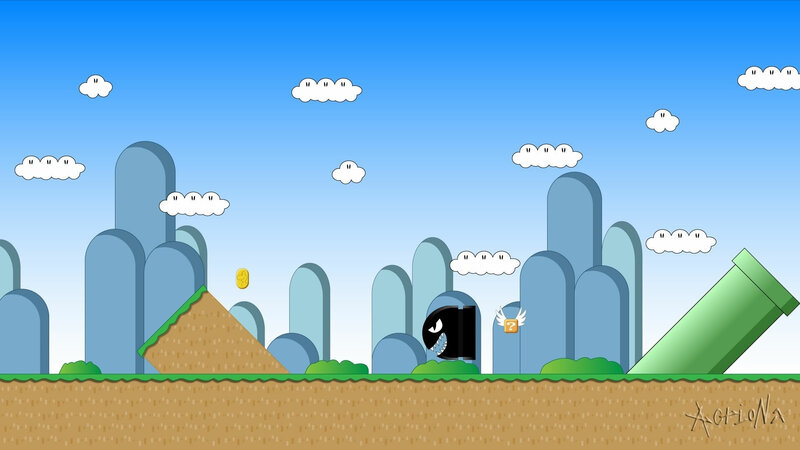 Earlier, 2-D side-scrolling game play appeared to be reminiscent of New Super Mario Bros. But players will be constantly flipping between 2-D and 3-D, as soon as Mario learns the ability to flip between dimensions. To pass dangerous pits, search for hidden coins and passages, and even talk to characters that are visible only in 3-D.
At the beginning of the game, you can see pictures of Marios partners from the other Paper Mario games, if you look closely in Mario's house. Originally, this game was designed for Gamecube, but, it had been released on the Wii instead, due to prolonged development. 32 Levels split up into eight chapters. A script change on one line in the European/PAL version of Super Paper Mario compared to the versions released elsewhere. In the version of Pal/European, Dimentio said that Luigi is a pushover, while other versions of the game, Dimentio said, as translated into English, that Luigi's moustache was“shag”. As an upcoming game, reference to Super Paper Mario was made in Paper Mario TTYD. As items of importance, Stars replaced by Hearts, unlike in the other Mario RPG Games. 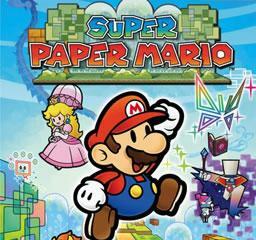 The only game in the Super Mario Series, Super Paper Mario, where in Mario and co's max attack can go as far as 150,000 and it is not capped at 99. There is no gold fuzzy in the game yet there was a picture of gold fuzzy on the back of the games manual.